Corporation Never Made A Dime, Do We Have To File Taxes? We have a Florida corporation that is over a year old and has never made any money. Do we need to file tax statements for the year or pay penalties for not having already done so? 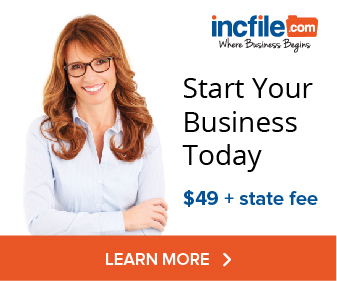 A corporation or LLC is may not be required to file taxes each year. It will depend on the state of formation and whether it elected to be taxed as a sole proprietorship, partnership, or corporation – even if it lost money. In reality however, it’s a good idea to file a return if your corporation or LLC lost money during the year because, under the tax laws, you can carry losses both forward and backward. Example: If your corporation or LLC made money in 2015 and paid taxes, and then lost money in 2016, you can apply your 2016 losses to your 2015 tax return and receive a refund. In order to carry-back your losses, you need to file a turn return, however. For LLCs taxed as partnerships or disregarded entities, it’s also important to file your returns even in years where you lost money for similar reasons. LLCs with pass-through taxation let you take your LLC losses (subject to certain limits) on your individual tax return. By failing to report your LLCs losses, you end up overpaying your personal taxes. The bottom line is that you should file tax returns for every year in which your entity existed, even if it made a loss. Return to Ask A Question About LLC Taxes. 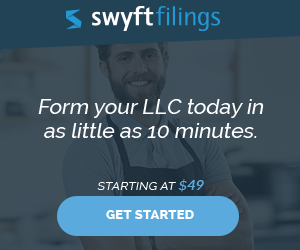 Do I have to file personal income from paychecks made from own LLC? I have an LLC, if I make myself a pay check every month, do i have to file personal income? meaning that I’d have to file taxes for the LLC, and personal ones separately? If you have chosen to treat your LLC as having “pass-through” taxation (that is, taxed like a partnership), you only pay taxes once. However, you do file what’s called an informational tax return for your LLC (Form 1065). The LLC then issues each member a form K-1, which tells the member how much income they need to report on their personal tax return. If you run a single member LLC, your LLC can get disregarded entity status, which means you don’t even file a form 1065–you simply include your LLC’s revenues and expenses on Schedule C of your personal 1040. The same goes if the only members of the LLC are husband and wife filing a joint tax return. What do you mean by “anyone”? The IRS will know, because your SSN (or someone else’s associated with your LLC) was used to apply for your LLC’s EIN. The IRS will also know based on any 1099s it receives from businesses that send payments to your LLC. Does your business accept credit cards? Under new IRS regulations, your credit card merchant account processor will begin reporting all your merchant account transactions via a 1099-k. Therefore, the IRS will know how much income your business received in credit card payments received. Can casual creditors know? Probably not, particularly if you used an outside service as your registered agent and not your own home or business address. Persistent creditors can find out by subpoenaing you to a judgment debtor examination and other legal processes. I know you didn’t quite go that far, but for the future: please don’t ask me how to evade taxes. Any questions like that will be deleted as spam. I have a business bank account. All of my payments from the website go directly the LLC bank account. I have done some research and I’ve been reading that the worst thing to do is to take money out of the LLC bank account and deposit it into your personal bank account because of hefty taxing. I have also read that what should be done is leave the money in the LLC account and use the money from that account to pay for expenses that the LLC can reimburse for like, cell phone, internet services, gas, my car, dining, business travel, computer equipment etc. 2) I know taxes are inevitable, but what is the best way to minimize tax from the LLC? 3) What exactly can I reimburse and what percent of it can I reimburse? What you read is partially correct and partially wrong. If your LLC is taxed as a partnership, then all profits flow through to you personally and are reported on your personal income tax statement. This is true regardless of whether you leave the profits in your business account or not. (Note, if you are taxed as a corporation, a whole new complexity arises with regards to leaving money in the corporation, which really requires a tax attorney to sort out). What you read is correct in that you can minimize taxes by having your LLC pay all your business expenses. This is where you must make best use of being the owner of a small business–by taking every legitimate deduction you can. You should absolutely pay all your business expenses out of your LLC’s business checking account. I assume from your question that you run a website. So legitimate business expenses would include hosting fees, software purchases, your internet connection, any computer hardware you use exclusively for your business (e.g your laptop), etc. At the end of the year, you add up all your revenues from your LLC–adsense income, income from sales of products, affiliate income, and so on. That is your revenue. Then you add up all your business expenses: phone, internet, hosting fees, money spent on advertising, etc. That is your expense. Subtrac expenses from revenue and you have your business profit or business income. It is on this business income that you pay taxes. As a single-member LLC, these calculations of business revenue and business expenses will all be done on Schedule C of your 1040. No one wants to do option 1., so option 2 is where you can save a ton of money. The few deductions you and I mentioned are only a fraction of all the deductions that a small business owner can take. There are many others as well. I also take it from your question that you are concerned that the deductibility of an expense depends on whether you wrote the check for the expense out of your business or personal bank account. You technically can pay business expenses from your personal account and take a deduction, but that is a bad habit to get into. By doing so, you are commingling personal and business assets and risking have your corporate veil pierced. In addition, you might have a tougher time in an audit justifying your home phone bill as a business expense if you paid for it with a personal check. Question: As a single member LLC considered a pass through entity by the IRS I deduct part of my mortgage and utilities on my taxes. I also have a cell phone and additional landline that are for business but they are in my personal name as they were set up before the LLC was created, when I was a sole proprietor. Is it best to pay for these expenses from my personal or business bank accounts? I would think that paying mortgage and electric, etc. from a personal account and taking a deduction is not seen as co-mingling funds but how about the landline and cell phone that are in my personal name but used for business. The simplest answer is to open up a cell phone plan for your business and use that exclusively for your business conversations. Otherwise, technically, to take a business deduction for your phone calls when the line is in your personal name, you’re going to have itemize your phone bill and show which calls were personal, which were business, and determine the percentage of the bill that were business. By the time you go through all that, you’re ready to just pay the darn tax and be done with it! The other method is to itemize your business expenses that you paid for personally, submit a reimbursement form to the business, and have the business write you a check. This is how you would seek reimbursement from a company you were an employee or contractor for. A member of an LLC can use the same method for his own reimbursement of business expenses paid for with personal funds. As a general matter, have the business directly pay for as many business expenses as possible.